As I sit here writing this, students in Texas are all finally on summer break. Seniors are now officially college freshmen, and every other grade has now moved up. This takes us to last year’s juniors, who are now officially seniors. I’ve already had several families contact me with questions about the college application process, even though it is still early June. Below is some important information to ensure your student is on track to submit applications in a timely manner. The college application timeline has gotten a little simpler over the years with the advent of the Common Application (also known as Common App). Common App is a one-stop application that is accepted by over 750 universities and colleges nationwide. Rather than fill out several applications for several different schools, Common App lets you fill out one application and upload your materials in a single place. Colleges then have access to that information and can pull it for their purposes. Common App is officially opened for students to submit information on August 1. Students can begin gathering information and writing the essay for Common App before then, but it is not possible to enter than information and click “Submit” until August 1. 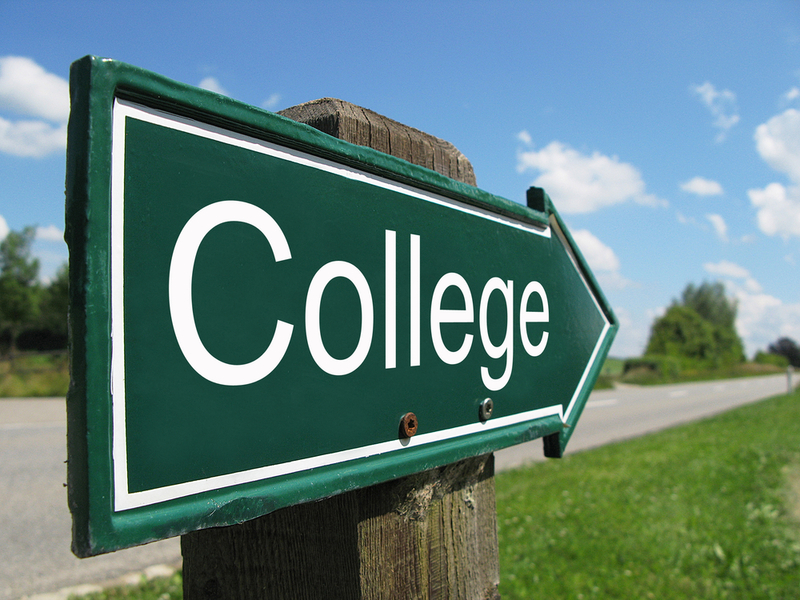 It is important to note, however, that not all colleges you may be interested necessarily accept Common App. Here in Texas, for example, school’s such as University of Texas and Texas A&M (the two most popular options) have a different application system called Apply Texas. Apply Texas allows students to enter and submit information on July 1, which is incredibly early. 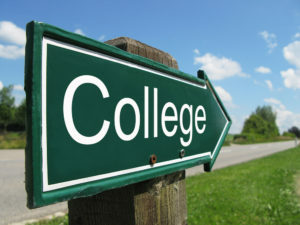 In order to determine which applications you should fill out, check with your guidance counselor or college counselor to determine which ones are necessary. Doing so will save a ton of time and effort. As mentioned above, Common App opens August 1, while Apply Texas opens July 1. However, that doesn’t mean that you have to submit information on those days. Texas A&M starts reviewing applications as they come in, but the University of Texas doesn’t begin reviewing applications until mid-September (according to an admissions rep I spoke with there). So there really is no reason to submit on August 1 unless you want to apply to Texas A&M. It is much better to make sure your application is 100% accurate rather than submit it early only to realize you made a mistake or left something out. Once you click “Submit” you cannot change your application! I recommend to families that they wait until labor day to submit applications. This will give students time to review their applications and include any information that may have updated since the new school year started. It also is plenty early, as most schools do not begin reviewing applications until mid-September. The exception is for those schools with rolling admission, such as Texas A&M. Another wrinkle in the admissions process is the Early Action and Early Decision choices. Early Action indicates that a student is highly interested in attending that particular school if granted admission. It is non-binding, however, and allows the student the option of not attending if accepted. Early Decision is similar, except that it is a binding agreement. If your student selects Early Decision and is admitted, your student is essentially agreeing that he or she will pull all other applications. Statistics that I’ve seen from university reps do indeed reflect significantly higher admission rates for student applying Early Decision and slightly higher for Early Action. As beneficial as this can be, it is very difficult to get out of Early Decision agreements, so make sure you are committed to that particular school before selecting that option. Common App opens August 1 and Apply Texas opens July 1. However, the deadlines for the more than 750 schools represented by these applications can be quite different. Many schools have a December 1 deadline for having all materials submitted. Some schools have deadlines as late as March 1. And I’ve actually seen other schools that will accept students even through the end of spring. The students’ portals in Common App actually list the deadlines, so it’s a convenient way to keep track of everything. However, I highly suggest you check with each individual school to ensure those dates are accurate. In some instances colleges will extend a grace period for submitting additional documents. Don’t rely on this strategy though. Get your application fully turned in by the deadline. Early Action and Early Decision usually have earlier deadlines. November 1 is a common date for these. But, if you take my suggestion and turn everything in by Labor Day, you should have no problem with deadlines, regardless of which application you fill out. Filling out a college application is more than just typing in your information into the online application. There are several items you need to submit with them. Essay: Common App requires 1 essay this year. Other applications have different requirements. And some departments within a university may require an additional essay. Check the requirements. You can write these essays prior to July 1 or August 1 and have them ready to transfer into the application when they open up. Resume: Many schools require students to submit a resume. If you haven’t been keeping up with your resume throughout high school, now is the time to put one together. Include academic achievements, extracurricular, community service, jobs, and other interests. Recommendation letters: Most schools require these. You should have 2 letters: one from a core academic teacher and one from someone else who knows you beyond being a student. Counselors, coaches, employers, a respected community members can write you a letter. Make sure you ask in a timely manner. ACT/SAT scores: If you have not already taken the ACT or SAT, you need to do so before submitting any application. You can still send scores after you submit, but I highly recommend having a score ahead of time. This will give you a better idea of the caliber school you can realistically expect to get into. Transcript: Request a transcript from your school’s registrar before sending it to a college. You want to make sure it is 100% accurate. Go over it with a fine tooth comb. If you find mistakes, get them corrected. Your senior classes should also be listed on your transcript. If you have attended more than 1 high school, you should get a copy of all transcripts. Applications may require other materials, but these are the five most important parts. Accuracy, timeliness, and thoroughness are essential to having your applications stand out from the rest. Start the process early but take your time to ensure it is perfect before submitting. If you follow this blueprint you will have the acceptances rolling in as soon as December.